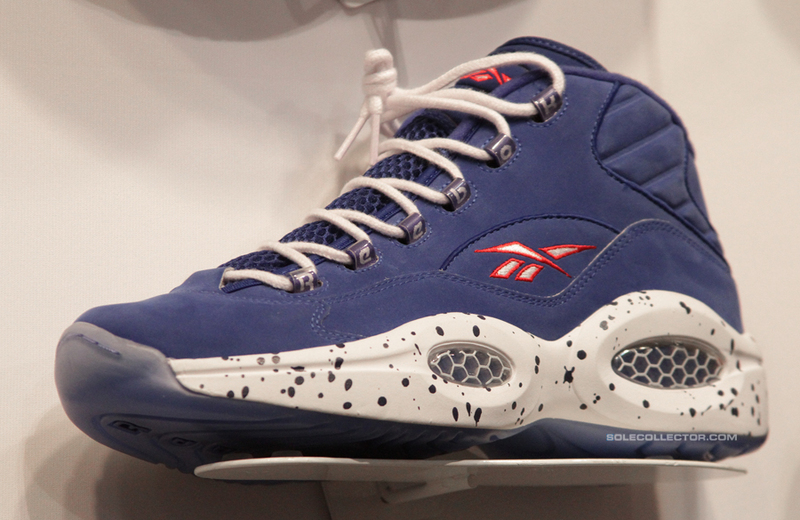 Reebok pays tribute to AI's 1996 entrance to the league as the top pick of the NBA Draft with this upcoming all nubuck colorway of the Question Retro. 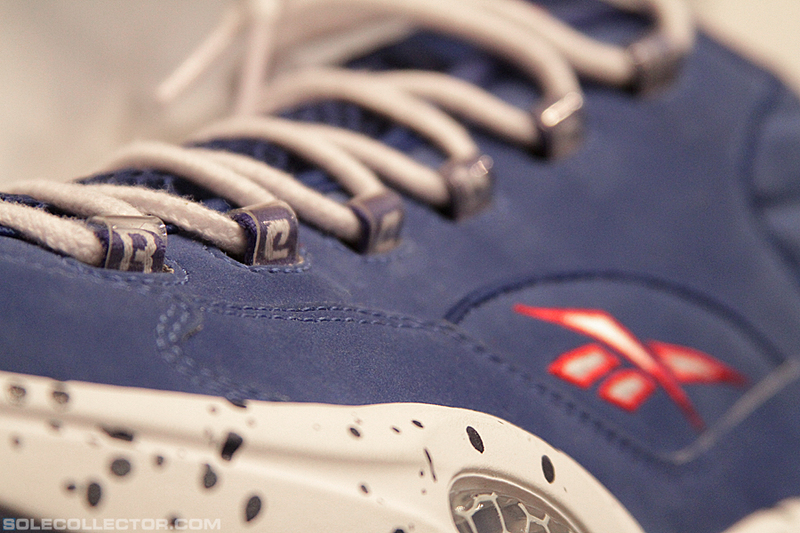 With Allen Iverson on hand tonight in Las Vegas to help unveil the future of Reebok Classics, we got a firsthand look at several upcoming colorways of his iconic first signature model, the Reebok Question. 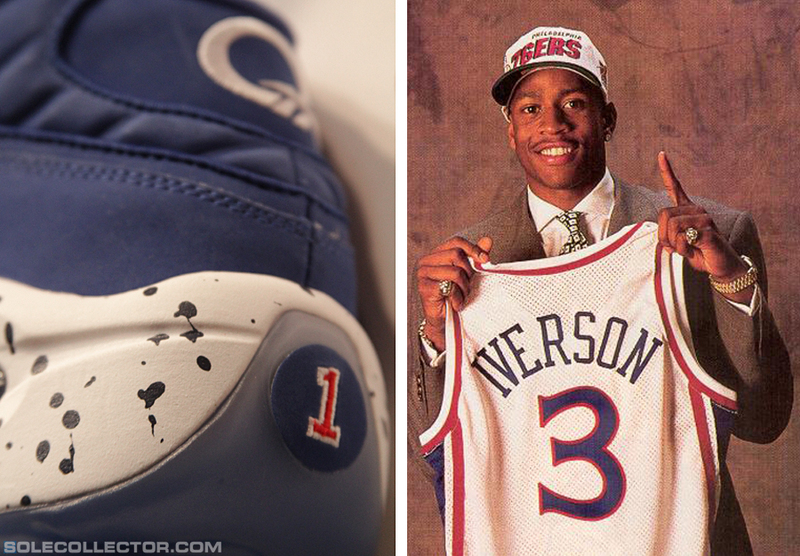 Like this upcoming "#1 Pick" Question Retro slated for Spring 2013. 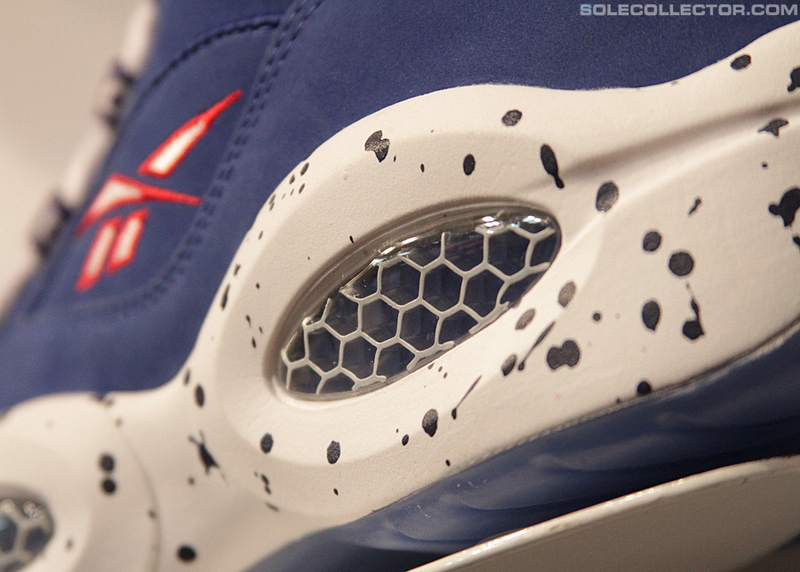 With a full royal blue nubuck upper and red accents throughout paying tribute to his classic Philadelphia 76ers unis, you'll also find a splatter print along the Hexalite-embedded midsole and the number '1' replacing his familiar jersey number along the heel. As legendary as the '96 Draft class was, AI was proudly the top pick, helping to kick off a new era of the NBA into the next decade. Stay tuned to Sole Collector for release info when the time is right, and check out a first glimpse of the "#1 Pick" Questions ahead.